Yet at the same time, in the above BBC interview the US Secretary of State repeats the threadbare Western claim that the situation in Syria is one of a defenceless population coming under “relentless attack” from Syrian government forces. 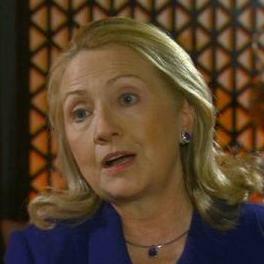 Clinton’s admission retrospectively justifies the stance taken by Russia and China, both of which vetoed the proposed UN Security Council Resolution on 4 February, precisely because that proposal was predicated on a spurious notion that the violence in Syria was solely the responsibility of the Al Assad government. Clinton also acknowledges in the BBC interview that there is “a very strong opposition to foreign intervention from inside Syria, from outside Syria” – which tacitly concedes the fact that the Syrian population is aware that the so-called oppositionists within their country are Al Qaeda-affiliated mercenaries. Meanwhile, the US Gulf allies, Saudi Arabia and Qatar, have separately issued statements that they are willing to send arms to Syria to support the insurrection against the Damascus government. Given the still substantial popular support for the government of Bashir Al Assad, such a declaration by Saudi Arabia and Qatar towards a fellow Arab League member state signifies an unprecedented interference in the internal affairs of a sovereign state. Indeed, legal opinion could argue that it constitutes a self-indicting act of international aggression. Besides, such a declaration by Saudi Arabia and Qatar of being willing to arm Syrian insurrectionists, can be seen as a cynical cover for what is already taking place. It is known that the Gulf monarchical states are already supplying weapons illicitly to the self-styled Syrian Free Army, along with Turkey and Israel. So far, the US is officially maintaining the fiction that it is not involved in supplying arms to Syria even though Washington has demanded “regime change” and in spite of evidence that Western covert forces, including American, British and French operatives, are actively engaged with the opposition groups. It is richly ironic that the unelected fundamentalist Sunni regimes of the Persian Gulf are supporting Al Qaeda affiliated groups within Syria purportedly to “bring about democratic reforms”. This is the same dynamic that prevailed in Libya where the overthrow of that country’s government by Western and Gulf Arab powers has now led to a collapse in human rights and social conditions. Once again, Syria is indicating the same alignment of allies: Washington, London and other NATO powers comfortably in bed with Sunni/Salafist tyrants and terrorists, claiming to be supporting democratic freedom and human rights. Of course, the real agenda has nothing to do with either democratic freedoms or human rights – as the awry alignment of allies clearly indicates. Rather, this is about Washington and its proxy powers trying to engineer regime change throughout the Arab World and beyond to conform to geopolitical objectives, principally the control of raw energy. Iraq, Afghanistan, Libya and now Syria are but a sequence of stops on a global roadmap of permanent war that also swings through Iran. Russia and China are the terminal targets. Washington is evidently prepared to use any means necessary to assert this agenda: illegal wars, death on a massive scale, possibly triggering global war and the use of nuclear weapons. But surely the most preposterous mask is the “war on terror”, when it is seen – from the words of US Secretary of State Hillary Clinton – that Washington is now openly collaborating with the supposed “terrorist enemy” to bring about regime change in desired countries. If somehow the weasel words from Washington could be taken at face value, then if it were serious about wanting regime change to facilitate democracy, human rights and world peace, the first regime that pre-eminently qualifies for such change is Washington itself. One of the first juicy bits to trickle out of Wikileaks release of 5 million Stratfor emails is the comment from Fred Burton, Stratfor’s Vice President of Intelligence, that the Imam of the controversial so-called Ground Zero mosque is an “FBI operational asset.” Burton, who was formerly a special agent with the US State Department’s Diplomatic Security Service and the Deputy Chief of their counterterrorism division, made the comment on an email chain regarding a New York Observer article, Untangling the Bizarre CIA Links to the Ground Zero Mosque. 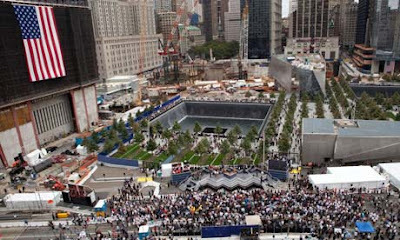 The controversy surrounding the “Ground Zero mosque” overwhelmingly dominated the news and discussion surrounding the ninth anniversary of the 9/11 attacks. UPDATE: The above was posted about an hour after the GI Files had been announced. It seems relatively minor compared to some of the other items coming out, but still quite interesting and perhaps important. Now, 12 hours later, it’s apparent that the scope of issues involved in the GI Files release will be immense. Spying on activists, insider trading, money laundering, “sexual control” of assets and mind-boggling arrogance and incompetence seem to be only the tip of the iceberg. Cass Sunstein even gets a mention, in connection to the Bhopal tragedy and cover up, of all things. The North Pool of the 9/11 memorial in New York. The Pentagon has revealed that partial, incinerated remains of some September 11 victims that could not be identified were sent to a landfill. The number of victims involved was unclear according to a Pentagon report released Tuesday, but it involved some of those killed when a terrorist-hijacked airplane struck the Pentagon, killing 184, and another crashed in a field in Pennsylvania, killing 40, in the September 11 attacks against the US in 2001. The Pentagon released the report by an independent committee that was asked to examine practices at the military’s mortuary at Dover, Delaware, the first stopping point for fallen troops coming home from war overseas. “We don’t think it should have happened,” the committee chairman, retired General John Abizaid, told a Pentagon news conference. The panel was formed after an investigation revealed last November that there was “gross mismanagement” at the Dover facility and body parts had been lost on two occasions. After that investigation, news reports said that some cremated partial remains of at least 274 American war dead were dumped in a Virginia landfill until a policy change halted the practice in 2008. It said the partial remains were cremated, then given to a biomedical waste disposal contractor who incinerated them and took them to a landfill. 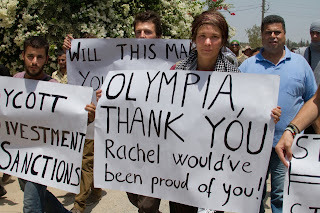 February 27, 2012, Olympia, WA and New York, NY – Today, in a lawsuit brought against current and former members of the Olympia Food Co-op board of directors for their decision to boycott Israeli goods, a Washington State court dismissed the case, calling it a SLAPP – Strategic Litigation Against Public Participation – and said that it would award the defendants attorneys’ fees, costs, and sanctions. The judge also upheld the constitutionality of Washington’s anti-SLAPP law, which the plaintiffs had challenged. The case is Davis, et al., v. Cox, et al., Case No. 11-2-01925-7 in the Superior Court of the State of Washington in Thurston County. For more information and today’s argument, and to view filings in the case, visit the Center for Constitutional Rights case page. Despite requests made under the Freedom of Information Act for correspondence out of the White House, the Obama administration is refusing to comply with calls to disclose discussions with Monsanto-linked lobbyists. The US-based non-profit group Public Employees for Environmental Responsibility (PEER) is demanding that the White House comply with a FOIA request for information that might link the Obama administration with lobbyists tied to the Monsanto corporation. 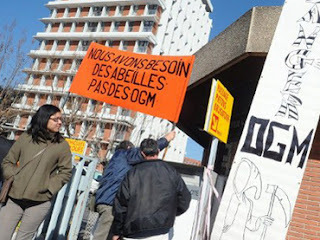 Monsanto, an agricultural biotech company that rakes in billions each year, has become the enemy of independent farmers in recent years after the corporation has sued hundreds of small-time growers and, in many cases, purchased farms that are unable to compete in a court of law. As Monsanto’s profits grow and the group comes close to monopolizing the market for American agriculture, the company has at the same time thrived due its use of controversial genetically-engineered seeds. Three-hundred thousands organic farmers across America are currently trying to take Monsanto to court to keep the corporation from continuing its war on independent growers. As a case is composed, the PEER group suspects that the White House’s refusal to comply with the FOIA request could be because Monsanto has some powerful friends on Pennsylvania Avenue. Particularly, PEER is trying to pry correspondence that came into the inbox of a White House policy analyst from a lobbyist with the Biotechnology Industry Organization (BIO), which represents Monsanto and other manufacturers of genetically-engineered seeds. The White House says that disclosing the full details of the email could give competing companies an advantage as lobbying secrets are unearthed for the world, but PEER thinks the truth is much worse than that. Michael Taylor, a former attorney for the US Department of Agriculture and lobbyist for Monsanto, was recently appointed to a federal role as the deputy commissioner for foods at the United States Food and Drug Administration (FDA). Since then, the FDA shot down requests from consumer protection groups to label genetically modified products as such. With a White House-Monsanto connection already established with the appointment of Taylor, PEER and others are interested in what other ties could exist between the two. The inquiry from PEER stems from an earlier email obtained in which biotech lobbyist Adrianne Massey confronts a White House official with regards to if and how the administration is dealing with a lawsuit PEER had filed. In that instance, PEER had fought and won to keep genetically-engineered crops from being planted in wildlife refuges. PEER is now suing the White House for the rest of that correspondence and other related emails. Former president Bill Clinton is among nominees for the 2012 Nobel Peace Prize, Reuters reports. Jan Egeland, the European director of Human Rights Watch, mentioned Clinton after the five-member Norwegian Nobel Committee said it was considering two hundred and thirty one names. Nobel Prize winner Obama learned how to sell mass murder as humanitarianism from Clinton. 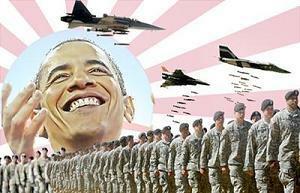 In 2009, the current war criminal in chief, Barry Obama, was chosen as peacemaker. The Committee said Obama received the award “for his extraordinary efforts to strengthen international diplomacy and cooperation between people.” Obama was continuing and amplifying upon Bush’s wars in Iraq, Afghanistan and Pakistan at the time, making him a perfect candidate for the hypocritical “award” doled out by the ossified Norwegian Nobel Institute and its secretariat. In 1999, Bill Clinton was one of the world’s leading war criminals. He had surpassed the crimes of his predecessor and “brought to the commission of war crimes a new eclectic reach and postmodern style,” Edward S. Herman wrote at the time. “A skilled public relations person, he has refined the rhetoric of humanistic and ethical concern and can apologize with seeming great sincerity,” a parlor trick Obama has attempted to emulate. 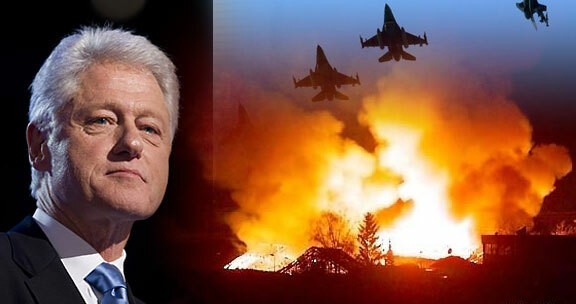 Clinton bombed the former Yugoslavia, Iraq, Afghanistan and the Sudan, killing untold numbers. In the latter case, he bombed a pharmaceutical plant. His putrid crown was the sanctions regime imposed on Iraq. “UNICEF reports that in 1999 more than 1 million Iraqi children under 5 were suffering from chronic malnutrition, and some 4,000-5,000 children are dying per month beyond normal death rates from the combination of malnutrition and disease,” writes Herman. “Death from disease was greatly increased by the shortage of potable water and medicines, that has led to a 20-fold increase in malaria (among other ailments). This vicious sanctions system, causing a creeping extermination of a people, has already caused more than a million excess deaths,” a toll that has exceeded the toll of “all so-called weapons of mass destruction [nuclear and chemical] throughout all history,” according to John and Karl Mueller. Clinton and NATO specialized in targeting civilians like these Albanian refugees. In Yugoslavia, Clinton targeted civilian infrastructure and civilian facilities – houses, hospitals, schools, trains, factories, power stations, and broadcasting facilities. Noted journalist John Pilger added “housing estates, hotels, libraries, youth centers, theaters, museums, churches and 14th century monasteries on the World Heritage list” to Clinton’s target roster. According to Yugoslav authorities, 60 percent of NATO targets were civilian, including 33 hospitals and 344 schools, as well as 144 major industrial plants and a large petro-chemical plant whose bombing caused a pollution catastrophe. Not long after Clinton ran out of targets, the BBC reported that the use of depleted uranium in Serbia would cause 10,000 extra deaths from cancer. Scientists at Kozani in northern Greece reported that radiation levels were 25% above normal whenever the wind blew from the direction of Kosovo while Bulgarian researchers reported finding levels eight times higher than usual within Bulgaria itself, and up to 30 times higher in Yugoslavia. Considering the fact that the Nobel Prize is now a cheap artifact awarded to war criminals and psychopaths, Clinton should be a shoo-in. 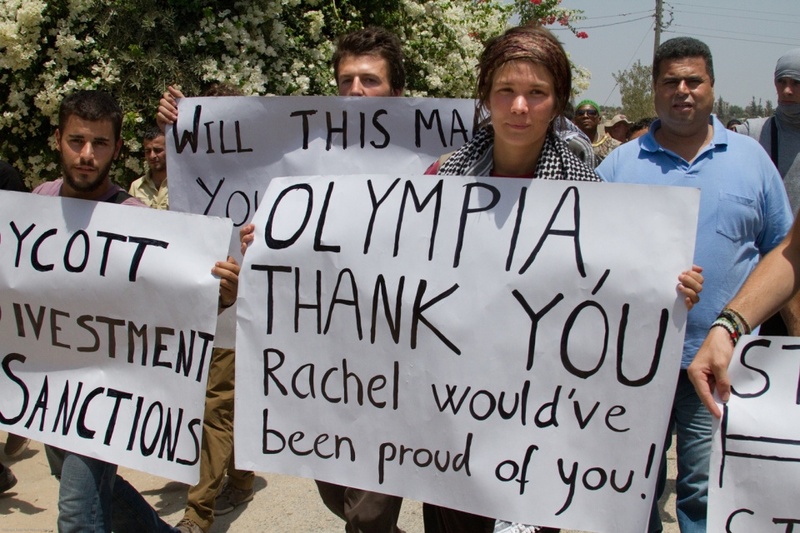 Tunisian President Moncef Marzouki, alleged WikiLeaks whistleblower Bradley Manning, and more than 200 other nominees should be dropped from consideration. Bill Clinton, war criminal extraordinaire, is the ideal choice. 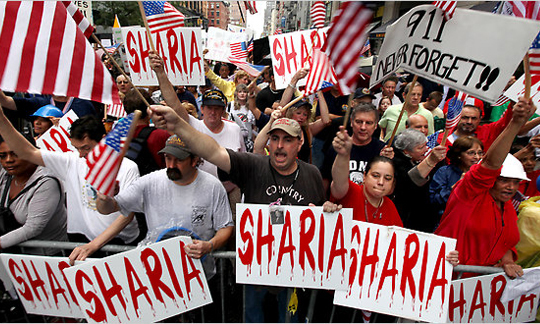 WASHINGTON (AP) — Millions of dollars in White House money has helped pay for New York Police Department programs that put entire American Muslim neighborhoods under surveillance. The disclosure that the White House is at least partially paying for the NYPD’s wholesale surveillance of places where Muslims eat, shop, work and pray complicates efforts by the Obama administration to stay out of the fray over New York’s controversial counterterrorism programs. The administration has championed outreach to American Muslims and has said law enforcement should not put entire communities under suspicion. The Obama administration, however, has pointedly refused to endorse or repudiate the NYPD programs it helps pay for. The White House last week declined to comment on its grant payments. John Brennan, Obama’s top counterterrorism adviser, last year called the NYPD’s efforts “heroic” but would not elaborate. Homeland Security Secretary Janet Napolitano, whose department also gives grant money to the NYPD and is one of the lead federal agencies helping police build relationships with Muslims, has refused in recent months to discuss the police tactics. Tom Perez, the Justice Department’s top civil rights lawyer, has repeatedly refused to answer questions about the NYPD. 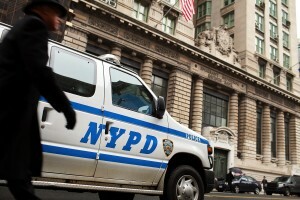 Outside Washington, the NYPD’s efforts drew increased criticism last week. College administrators at Yale, Columbia and elsewhere issued harsh rebukes for NYPD’s infiltration of Muslim student groups and its monitoring of school websites. New Jersey’s governor and the mayor of its largest city have complained about the NYPD’s widespread surveillance there, outside New York’s police jurisdiction. After the terror attacks, law enforcement was allowed to use some of that money to fight terrorism. It’s unclear how much HIDTA money has been used to pay for the intelligence division, in part because NYPD intelligence operations receive scant oversight in New York. NYPD spokesman Paul Browne did not respond to questions the AP sent to him in two emails about the White House money and the department’s intelligence division. Most of the money from the White House grants in New York and New Jersey has been spent fighting drugs, said Chauncey Parker, director of the program there. He said less than $1.3 million was spent on vehicles used by the NYPD intelligence unit. Former police officials told the AP those vehicles have been used to photograph mosques and record the license plates of worshippers. In addition to paying for the cars, the White House money pays for part of the office space the intelligence division shares with other agencies in Manhattan. When police compiled lists of Muslims who took new, Americanized names, they kept those records on HIDTA computer servers. That was ongoing as recently as October, city officials said. When police wanted to pay a confidential informant, they were told to sign onto the HIDTA website to file the paperwork, according to a 2007 internal document obtained by the AP. Parker said the White House grant money was never used to pay any of the NYPD intelligence division’s confidential informants. The HIDTA computer systems, he said, are platforms that allow different law enforcement agencies to share information and work. 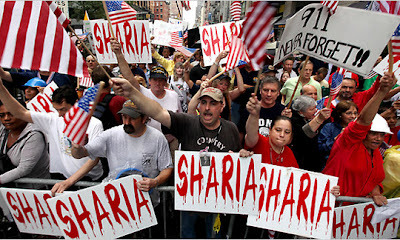 “I am shocked to hear that federal dollars may have helped finance the NYPD’s misguided efforts to spy on Muslims in America,” said Rep. Judy Chu, D-Calif., one of 34 members of Congress who have asked the Justice Department and House Judiciary Committee to investigate the NYPD. The connection between NYPD and the White House anti-drug grant program surfaced years ago, during a long-running civil rights lawsuit against police. Civil rights attorneys asked in court about a “demonstration debriefing form” that police used whenever they arrested people for civil disobedience. The form carried the seal of both the NYPD Intelligence Division and HIDTA. A city lawyer downplayed any connection. She said the NYPD and HIDTA not only shared office space, they also shared office supplies like paper. The NYPD form with the seal of a White House anti-drug program was “a recycled piece of paper that got picked up and modified,” attorney Gail Donoghue told a federal judge in 2003. The issue died in court and was never pursued further. Last week, the controversy over NYPD’s programs drew one former Obama administration official into the discussion. After the AP revealed an extensive program to monitor Muslims in Newark, N.J., police there denied knowing anything about it. The Newark police director at the time, Garry McCarthy, has since moved on to lead Chicago’s police department where President Barack Obama’s first chief of staff, Rahm Emanuel, is now the mayor. “We don’t do that in Chicago and we’re not going to do that,” Emanuel said last week. New Jersey Gov. Chris Christie said the NYPD surveillance in his state was “disturbing” and has asked the attorney general to investigate. Christie was New Jersey’s top federal prosecutor and sat on the HIDTA executive board during 2006 and 2007 when the NYPD was conducting surveillance in New Jersey cities. Christie said he didn’t know that, in 2007, the NYPD catalogued every mosque and Muslim business in Newark, the state’s largest city. “I kind of think I would have remembered that,” he said on Fox Business News last week.